This entry was posted in Uncategorized on March 2, 2019 by B Kneuker. For the purposes of better management of those Active, Associate, and Retired members who are paying annually by personal check, all memberships now start at January 1st and end at December 31st regardless of when you joined last year. The membership dues for an Active/Associate member is $120 and for the Retired members it is $50. Please send an email message to “sfapoaweb@gmail.com” for the new application that lists our new post office box address. We need to update everyone’s information. Thank you all for your continued support to the association! This entry was posted in Uncategorized on February 27, 2019 by Mike. This entry was posted in Uncategorized on February 13, 2019 by Mike. This year’s Chinese New Year Parade will be on Saturday, February the 23rd. 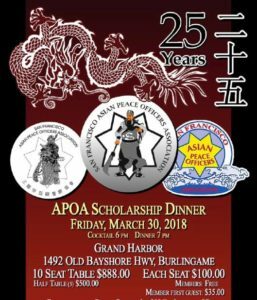 The SFAPOA will be marching in it. We welcome members and their families to participate in this fun and memorable experience. At the conclusion of our march, there will be a dinner for those who participated with us. Members who are working regular that day and wish to be detailed to march in the parade shall go through their respective chain of command to request to be detailed. The attire for all members shall be Class “B” uniform, tie, and service hat. Bring a jacket or rain gear depending on the weather conditions. We need to get a headcount ASAP. Please reply back if you and your family plans to attend. The deadline to reply is Wednesday, February the 13th. If you have any questions, please contact Brian Kneuker, the Sergeant-At-Arms, directly via email or at the Bayview District Police Station. This entry was posted in Uncategorized on February 9, 2019 by Mike. 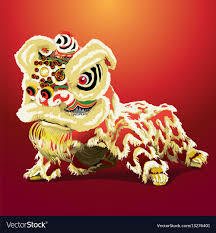 This years Chinese New Year Parade will be on Saturday, February 23. 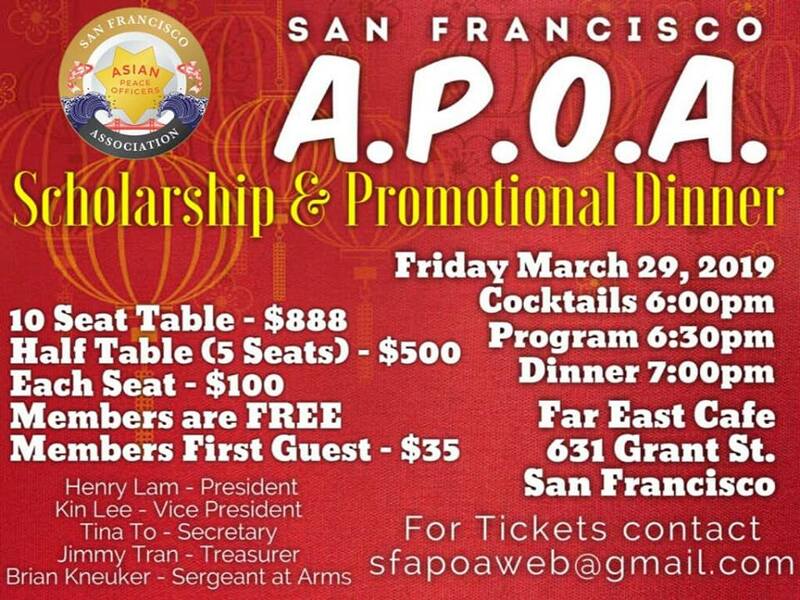 The SFAPOA will be marching in it. We welcome members and their families who wish to participate. There will be a dinner to follow the parade. Members who are working regular that day and wish to be detailed to march in the parade shall go through their chain of command to request to be detailed. We need to get a headcount ASAP. Please reply back if you and your family plans to attend. The deadline to reply is Friday, February 1st. If you have any questions, please let me know. This entry was posted in Uncategorized on January 11, 2019 by Mike. May membership meeting will be on Wednesday May 2 at 1600 hours. The location of the meeting will be at Mission Station in the community engagement meeting room. We will be giving out the annual gift for the members at the meeting. Take care all! This entry was posted in Uncategorized on April 21, 2018 by Mike.